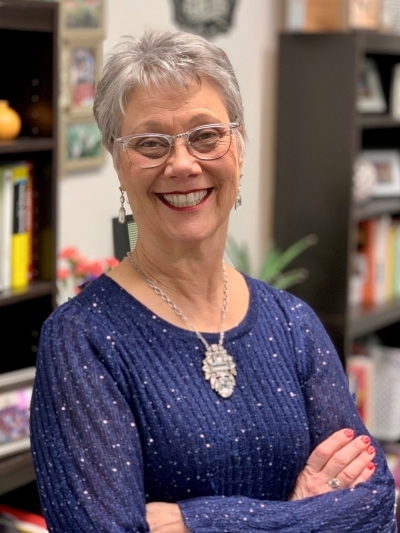 Susan Scott, Ed.D., professor in the College of Education and Professional Studies at the University of Central Oklahoma, was recently named a 2019 DaVinci Fellow by the DaVinci Institute. The award recognizes higher-education faculty whose creative, innovative accomplishments have made a significant contribution to their academic disciplines. Scott is being recognized for her excellent accomplishments in recruiting teacher candidates to Central, mentoring students and promoting the teaching profession. As a recipient, she will receive a $1,000 grant to apply toward a creative project of her choosing. "Dr. Scott is a very deserving recipient of a DaVinci Fellow Award," said James Machell, Ph.D., dean of the College of Education and Professional Studies. "She is tireless in her effort and commitment to teaching and mentoring our education students and to collaborating with others to promote the teaching profession to young people in our area." Scott began her career at Central in 1992 and currently serves as a professor in the Education Sciences, Foundations and Research Department. Additionally, she sponsors the Prospective Teachers’ Academy and the UCO Student Oklahoma Education Association. The DaVinci Institute is a nonprofit organization dedicated to nurturing the arts, sciences, humanities and education in Oklahoma. For more information about the DaVinci Institute, visit www.davinciok.org. To learn more about the College of Education and Professional Studies at UCO, visit www.uco.edu/ceps. Cutline: Susan Scott, Ed.D., professor in the College of Education and Professional Studies at UCO, was named a 2019 DaVinci Fellow by The DaVinci Institute, Oklahoma's creativity think tank.